Cheap Check Store Blog: What 2014 SUVs are Most Fuel Efficient? What 2014 SUVs are Most Fuel Efficient? 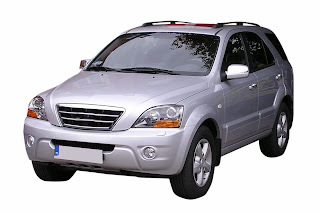 Fuel efficient SUV’s are almost a laughable anachronism in today’s world. Still, the popularity of the sport utility vehicle is understandable given everything that they provide. High ground clearance, the ability to tow trailers even by small SUV models, and passenger room are often cited as the reason they are so popular. However, EPA fuel economy is still an important consideration that buyers must think about, and which vehicle manufacturers are only recently beginning to address. The days of single-digit truck fuel economy are nearly over. In part thanks to corporate average fuel economy standards, and in large part due to customer demand for more efficient vehicles, automakers have pushed hard in the last 10 years to make vehicles that are not only more efficient, but more thoughtfully designed, as well. Today’s efficient SUVs use technological advances such as cylinder-deactivation, high-mileage tires, and more aerodynamic bodywork to shave critical fuel economy numbers. Although the results may not be as impressive as we once thought they would be by now, there’s no denying that there have been some incredible advances in the field, more than enough to keep popular SUVs current, trendy, and on the road! These examples are the best fuel economy performers this year, so if you’re in the market, and need a truck that won’t kill your wallet at the pump, then these are the ones to check out! All of the following are the tops among fuel-efficient 2014 sport utility vehicles as tested by the EPA and reported on their website: www.fueleconomy.gov. Bear in mind that all these figures are produced under largely ideal conditions, so your own driving experience will likely vary somewhat. Got a Full-Size Dodge Ram Pickup? 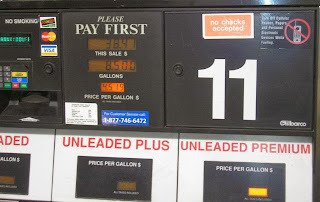 Check out these tips to Boost your Fuel Economy! 2014 Toyota RAV4 EV: Sure, it’s easy to plop an electric vehicle at the top of the gas mileage list, but as always, the Toyota RAV4 is a great benchmark. It was considered so when it was introduced, and remains so now that it’s an electric vehicle. Rather than looking at gas mileage, EPA estimates give the RAV4 a combined equivalent of 76 miles per gallon on an full charge (The ratio is one gallon of gasoline is equal to 33.7 kW-hr of energy consumed.) The base MSRP is $49,800, before rebates and incentives, and features a range of 103 miles. If you’re driving further than that to work every day, then you might want to consider a change, and not just to your vehicle! 2014 Subaru XV Crosstrek Hybrid AWD: With a combined fuel economy of 31 miles per gallon, the next most efficient SUV on the list is a sporty charmer that blurs the line between sports car and SUV. Subaru has always been noted for it’s off-road capability, so the relatively low ground clearance shouldn’t be a problem for most drivers. Additionally, the 2.0-liter four-cylinder engine is a peppy little number, with 148 horsepower on tap for the small car. The price tag is sure to be a hit, as well, coming in at between $21,995 and $24,495. Check out these 5 Fuel Efficient Cars! 2014 Lexus RX 450h: The biggest engine of this comparison still manages to provide drivers with a combined 30 miles per gallon fuel economy, though the price tag, $46,410, doubles the price of the smaller Subaru. Of course, what would you expect from a Lexus? The premium gas requirement might be off-putting for some drivers, particularly with prices going the way they are today, but it’s hard to beat the luxury of this SUV when you combine it with a 464-mile range. That should be more than enough time to wait for prices to dip a little before you fill up!